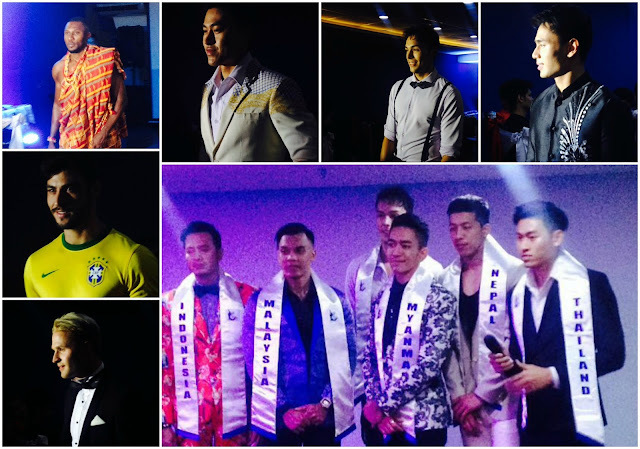 Evo & Grace: The WanderLusts: Introducing, Mister Tourism World 2016. Photo by Mark Anthony Cabrera. With the theme, “Charmingly Cultured”, Mr. Tourism World (MTW) a global brand owned by Czarina Production Ltd, a registered company in England and Wales is in search for their ambassador to promote culture in diversity. This is the first a competition will be held for the said title. Thirteen official candidates were presented to members of the press and Media at Icon Hotel in Quezon City last Dec 4, 2017.The official thirteen candidates are: Luke Middlebook from Australia (Sydney), Tieze Emilliano from Sau Paulo , Archibald Acquaye from Ghana (Accra), Sanju Ray from India( Assam), Muhammad Ryan Ramadan from Indonesia (North Sumatra), Fauzi Mohamad from Malaysia, Okkar Mun Maung from Myanmar (yangon), Sarj Sangit Shrestha from Nepal (Hetauda), Cas Winters from the Netherlands , Kian Jabin Sumague from the Philippines (SanPablo, Laguna), Alexander Portnoff from Sweden(Stockholm), Khunphan Supachok from Thailand(Bangkok) and lastly Phan Xuan Hien from Vietnam.